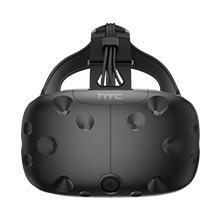 An adjustable headset and multiple eye relief adjustments, including lens distance and IPD, make Vive comfortable and clear. 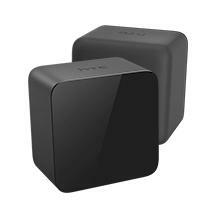 Wireless controllers designed just for VR make for natural and intuitive interactions. Putting on the headset washes away the real world with fantastical games, immersive stories and endless possibilities. Features include precise tracking, adjustable straps and eye relief tuning for captivating and comfortable immersion. With wireless controllers designed specifically for VR, interactions feel intuitive and natural, like an extension of your hand. Imagine feeling lifelike tension as you string a virtual bow and arrow, grabbing objects to examine closer or using shields to deflect enemy fire. 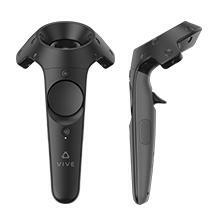 Vive’s breakthrough base station technology lets the headset and controllers track their exact location and movement, so you can feely explore and interact with the virtual world. Room-scale VR puts you at the center of the action. 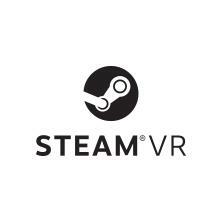 With hundreds of games and for SteamVR, everything you love about Steam is now also available in virtual reality. Keep tabs on the newest releases, automatically download game updates and create and share content with millions of your closest friends on Steam.